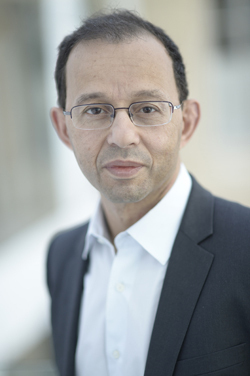 AXA announces the appointment of Philippe Marie-Jeanne as Chief Data Officer (CDO) of the AXA Group, in addition to his role as Head of the Data Innovation Lab. He will report to Véronique Weill, Member of the AXA Group Management Committee, AXA Group Chief Operating Officer and chairperson of the newly created Group Data Board which aims at steering the data and technical excellence strategy across the Group. In his new role, Philippe Marie-Jeanne will be responsible for efficiently enhancing the Group's data capabilities. He will be in charge of the global data strategy & roadmap, the development of local and regional CDOs as well as the building of the Group's positioning on structuring aspects such as data privacy, data architecture and technological orientations. Before being Head of the Data Innovation Lab (AXA Group) in January 2014, Philippe Marie-Jeanne was Group Head of AXA P&C Retail since February 2011. He was since February 2007 P&C Technical Head at AXA France. From 1998 to 2007, Philippe held various positions at the SMABTP, leading insurer in the building and construction sector, as Deputy General Manager in charge of technical direction for reinsurance and major accounts. He was also a member of Covéa Fleet Executive Board and has been CGI Bat Vice-Chairman (bonds business in the construction area). From 2000 to 2011, Philippe Marie-Jeanne has been a member of the CPABR (FFSA Plenary Commission). He has also been President of the FFSA Statistician Committee from September 2008 to March 2011. Philippe started his career in 1989 at UAP Incendie et Accidents and hold several positions until 1997, when he joined Tillinghast - Towers Perrin as Senior Consultant. Philippe Marie-Jeanne is a graduate engineer of the Polytechnique School, but also graduated from the National school of Statistic and Economic Administration (ENSAE) and member of the French Actuary Institute (IAF). He also follow an INSEAD executive program in 2006 (Programme supérieur pour Dirigeants).